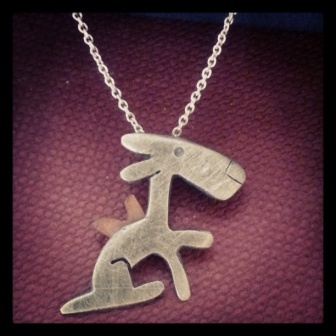 The dog pendant range consists of six different dog designs (for now). 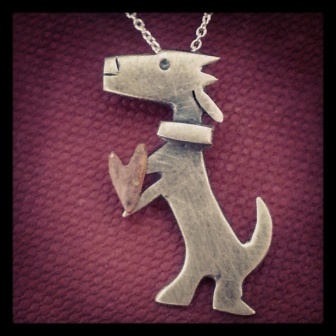 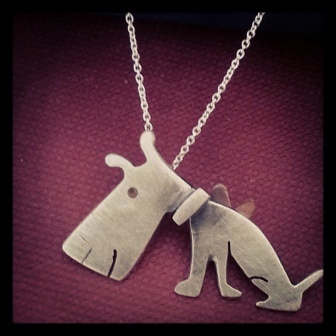 The pendants are not supposed to represent any particular breed of dog but instead they are meant to express the playful, lovable essence of the wonderful creature that is ‘dog’. 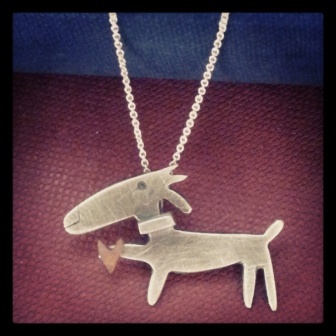 Each one is handmade from sterling silver and copper and is sold with a sterling silver chain. 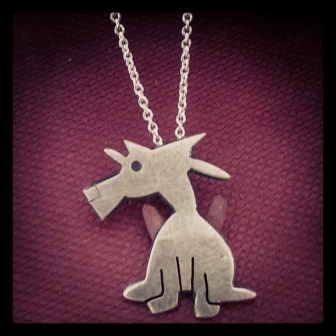 I have numbered each one in order to make the process of ordering easier. 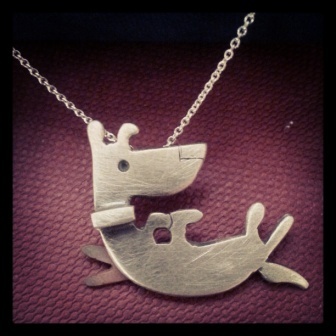 Oh and if you happen to be a cat person then stay tuned as a range of cat pendants are in the pipeline!